Andy is an associate at Davies Howe LLP practicing in the areas of land use planning, development, and municipal law. Andy summered with Davies Howe in 2013 and 2014 and completed his articles with the firm prior to being called to the bar in 2016. After obtaining his undergraduate degree in Urban and Regional Planning, Andy worked as a project manager for several years at a well-respected land development firm in the GTA. In this capacity, Andy managed all aspects of land development projects, including the design, approval and construction of residential subdivisions varying in size from twenty to over one thousand lots. During this time Andy was also hand selected to be an inaugural member of the Young BILDers (yBILD) committee, which focuses on important issues affecting young members of the land development industry. 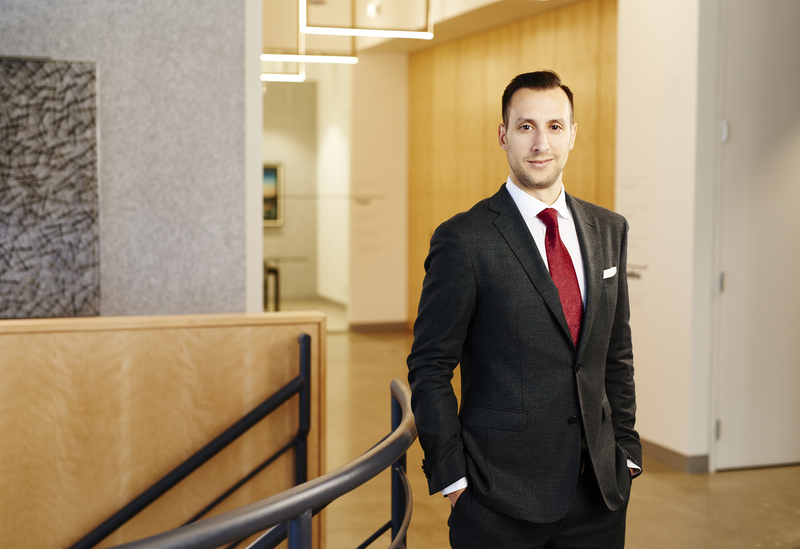 Andy obtained his Juris Doctor from the University of Ottawa and has appeared before various municipal councils, committees and the Local Planning Appeal Tribunal (LPAT). Andy regularly represents clients on various land use matters, including consents, minor variances, zoning by-law and official plan amendments, draft plans of subdivision and site plans. Andy is a member of the Canadian Bar Association, the Ontario Bar Association, and the Building Industry and Land Development Association (BILD). In his spare time Andy enjoys tinkering with his reef aquarium and playing almost any sport.